Every state has its own version of unemployment insurance requirements, designed to protect individuals who are laid off or let go. The American version of the unemployment insurance program, which originated in England, was established at the height of the Depression to help the many people struggling without jobs. Coverage provides a certain level of compensation for a limited amount of time, and usually there is a requirement that individuals actively seek work. Some states have a flat fee for new businesses, however after the first year or so a rate is usually established based on the company’s length of time in business, number of employees, unemployment claim history and tax payment history. Most states require quarterly payments into their unemployment fund. We have been paying into our state’s Unemployment Trust Fund for over 40 years, and have hardly ever had a claim. However we recently had reason to look into whether a terminated employee was eligible to receive benefits, and we learned a few helpful lessons. The first is that an employee fired for cause (theft, etc.) is not eligible – but one who is let go because he or she cannot physically perform their job may be. If staff members are laid off due to downsizing, or a business closing, they have a good chance of collecting – however someone who quits for personal reasons probably will not be able to do so. 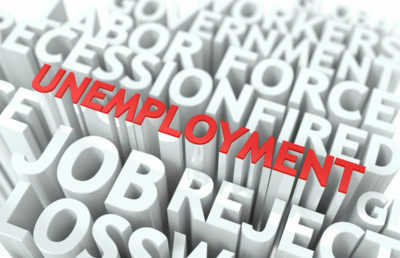 Before terminating an employee, it would be a good idea to research your state’s regulations regarding unemployment compensation. The amount you are required to pay into the fund may be impacted by benefits drawn against your account. But this program can provide a financial safety net when you need to let employees go through no fault of their own — which is exactly why it was created. PS There will not be a Specialty Shop Retailing blog next Monday, as we will be in NY attending opening night of the musical Hadestown – our son is one of the co-producers!